So, how to go about pairing chocolate and wine is a well-beaten topic, with only minimal agreement on what works and what doesn’t. Some insist there is a way, others declare pairing chocolate with any wine is a total lie. Who does one believe? This my folks, merits some experimentation, because in the end only your own taste buds can tell you what works and what is a pairing fail. What I can tell you is that there are definitely pairings, if you believe in them. Chocolate can be either bitter OR sweet….which makes one wonder how to pair it. Generally in food and wine pairing, Bitter + Bitter can often lead to even more, well….bitterness. 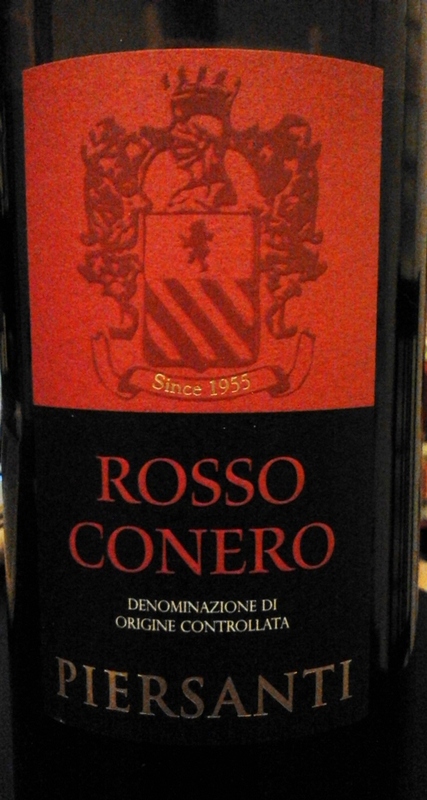 Then again, people seem to recommend heavy and bold reds like Cabernet Sauvignon with dark chocolate (in other words, bitter tannins with bitter dark chocolate, but in this case they can work). The sweetness of the chocolate versus the sweetness of the wine can be off-putting when trying to pair. In general, you want your wine sweeter than the food (otherwise your wine will taste flat and boring). So how does one pair a dry wine (ie: no detectable residual sugar) to a sweet food (ie: desserts with sugar as an ingredient, or sweetened chocolate)? Honestly, I think the best wines with any chocolate are ones ranking in the fortified wines (=above 15% alcohol by volume). Think tawny port, or a sherry of any type (they can range from sweet to dry). They are bold and complex, sometimes sweet, sometimes dry, and often nutty. They have the ability to really hold up in the wine/food fistfight that happens when you put them in the same room (=your mouth). BUT, there are some exceptions, and here is one of them. 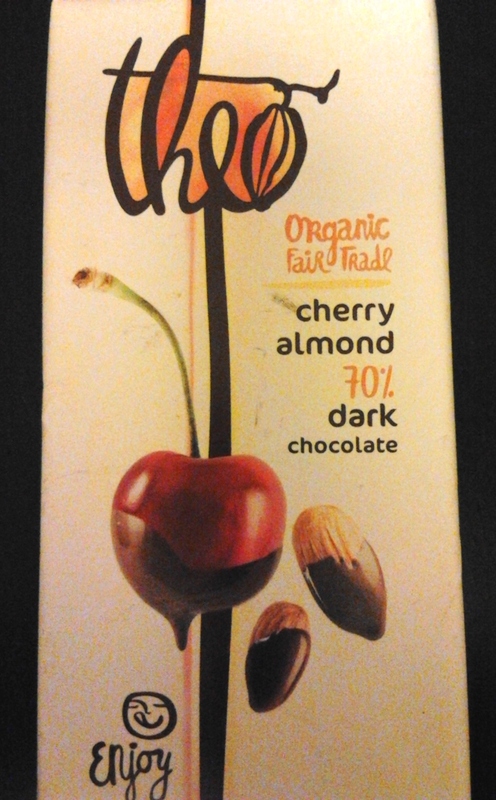 I drank a Rosso Conero DOC, a heavyish red wine from the Marche region that is a regular dry wine and a blend of the black grapes Sangiovese and Montepulciano while chewing on some seriously tasty Seattle chocolate: Theo Chocolates’s organic Cherry and Almond 70% dark chocolate. Why did this superb chocolate gifted to me by the fantastic members of Katie Kate work so well with this wine? Because the wine shared some weight (=both being heavy weights, you would never put a 100 pounder against a 200 pounder in the boxing ring, right?) and some flavors (namely, wild cherries) elements. The moral of the story is: don’t let anyone tell you chocolate and wine is unpairable…it’s merely a process of trial and error, which in my book is simply a totally unnecessary but welcome excuse to eat chocolate and drink wine! This entry was posted in Food & Wine Buddies, Italian Wine FAQ and tagged Chocolate, Chocolate and Wine, Food and Wine pairing, Italian food, Italian Wine, Italy, Matche, Montepulciano, Rosso Conero, Sangiovese, Seattle, Theo Chocolate. Bookmark the permalink. Italian Wine & Halloween Candy Pairing!